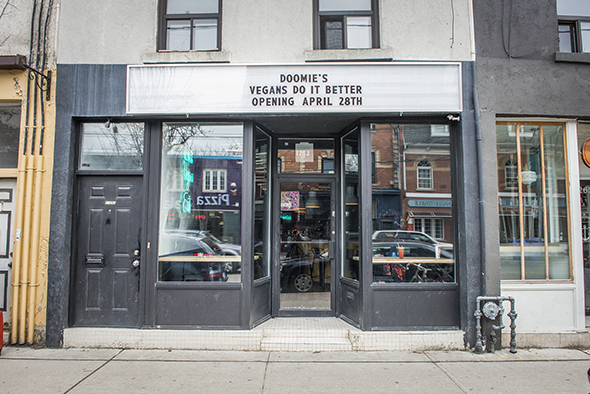 Doomie's is a vegan restaurant in Parkdale that originated in Los Angeles. It takes a brash, unapologetic stance on veganism. 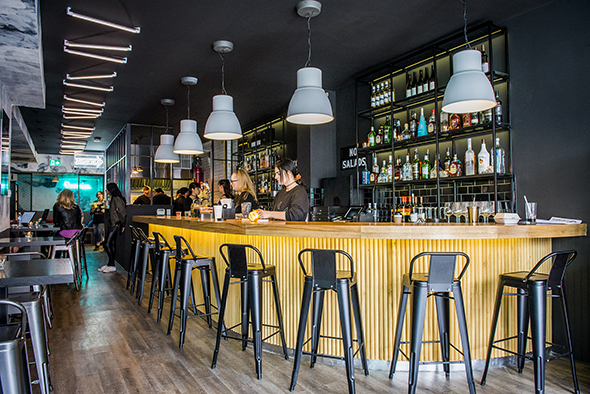 The ideology, exemplified by a comfort food-filled menu, is all about the ethical treatment of animals and has nothing to do with the clean-eating that's often associated with veganism - there's not a salad or grain bowl in sight here. Even the decor aims to dissociate itself from the Urban Herbivores and Kupfert & Kims of the city. 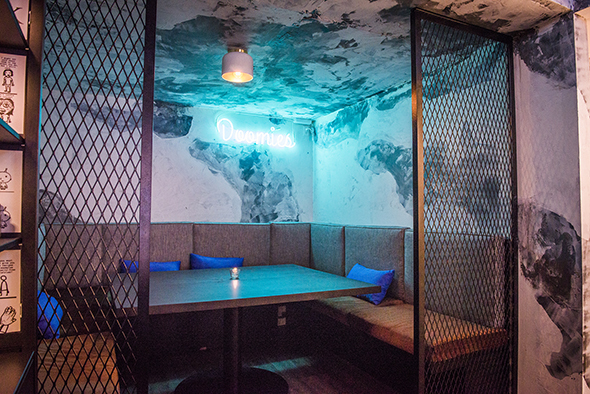 The space, designed by Lisa Ho, takes over the former from Small Town Food Co. and employs distressed textures, neon lights and bar-height Tolix chairs to give the room a contemporary vibe. 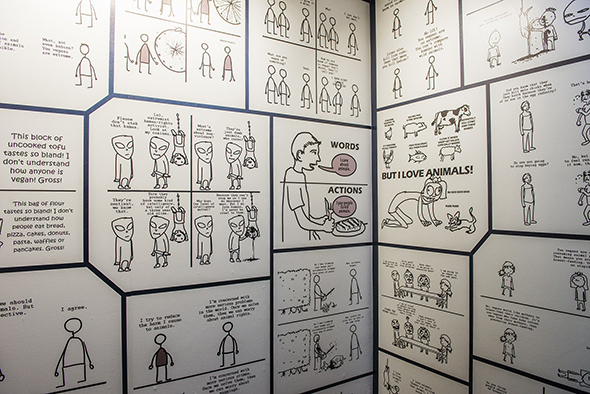 On the way downstairs to the selfie room , you'll find comics from U.K. artist the Vegan Sidekick papering the walls. The Big Mac ($16) is probably the most famous item on the menu; it comes dressed with shredded lettuce, pickles, onions, cheese and secret sauce and arrives boxed up, just like at McD's. It actually looks better than the real deal and tastes just as good, albeit this one is less greasy. The sauce is a seasoned veganaise but the cheese (thankfully not Daiya) is house-made and is more like a spread. The restaurant doesn't want to share its mock meats recipes (diners with allergies are the one exception). 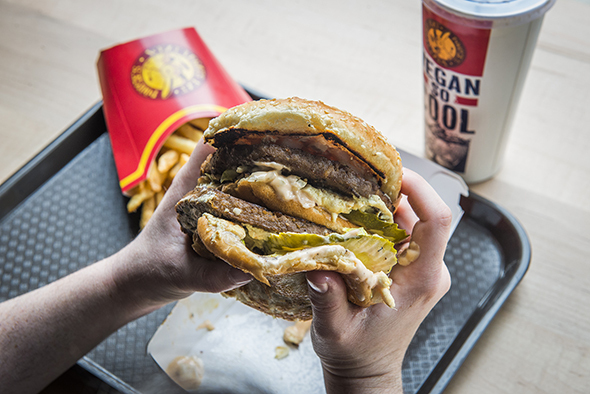 But they're willing to reveal that they make the various burger patties, pulled pork and steak substitutes with wheat, soy and vegetable proteins. 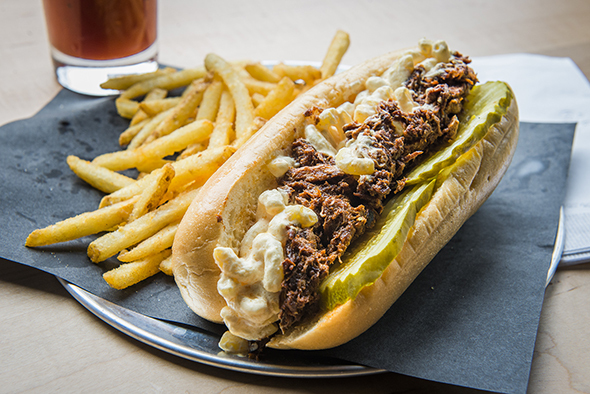 The South in Yer Mouth ($15) is a soft steamed roll loaded with pulled pork in a sweet and tangy barbeque sauce and topped with mac 'n cheese. If you brought me this in an unmarked take-out container, I'm not sure I'd be able to tell it was vegan. The fries on the side are aggressively seasoned and come sprinkled in spices. They're salty AF, which only makes me appreciate the bottomless soda refills even more. 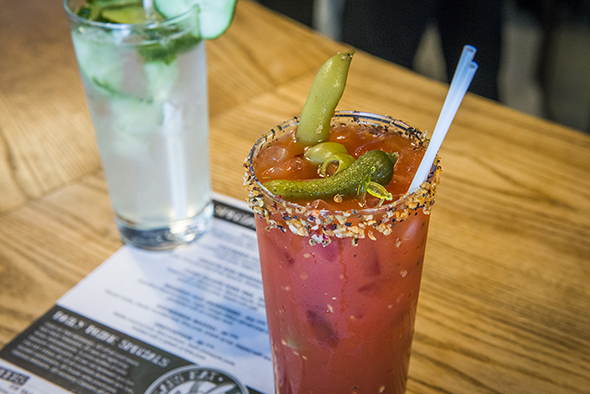 For something stronger, fortify yourself with cocktails like the vegan Caesar ($9), a cucumber cooler ($11) or a boozy milkshake . 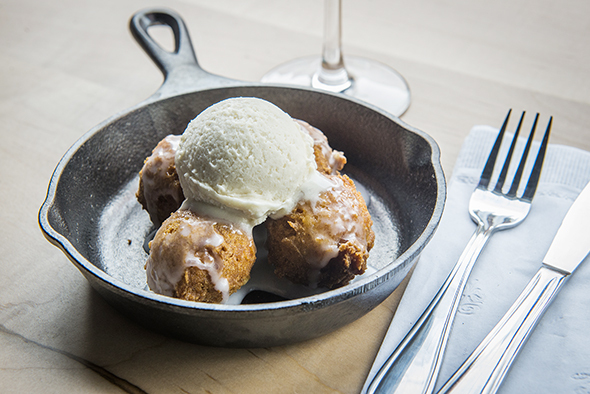 For dessert, there's Doom Bits ($8), warm, bite-sized pumpkin glazed doughnuts with a scoop of dairy-free ice cream on top. There's nothing not to like here. As a non-vegan, I went in a skeptic and came out a believer. The hype is real. Sign up for our free email newsletter so you're always in the know. You can unsubscribe anytime or contact us for details.